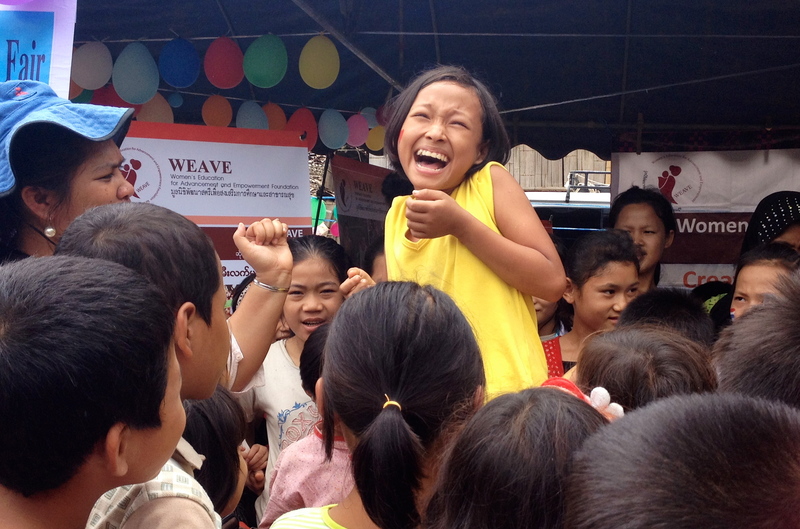 World refugee day 2014 | Beyond "he" and "she"
Mae Sot is a Western Thailand district that shares a border with Burma. Last week, on June 20, was the commemoration of the World Refugee Day and I had the chance to visit the Mae La Refugee Camp. According to UNHCR, there are more than 50 million refugees around the world, and half are women and children. 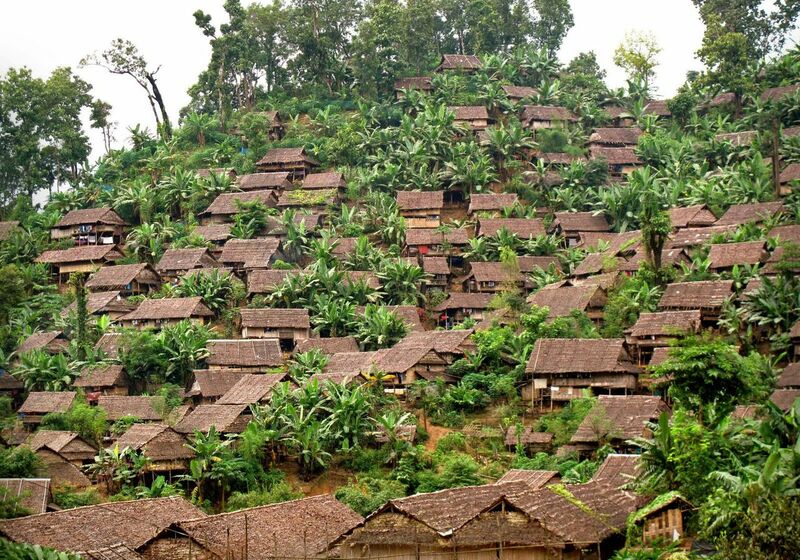 Mae La refugee camp was established in 1984 in Mae Sot and houses nowadays 50,000 refugees, mostly Karen from Burma. The flood of Burmese refugees into Thailand began in the 1980s with the Burmese military junta that was later bolstered by ethnic conflicts where Karen and Karenni were prosecuted. While recent reforms in military-dominated Burma promoted by the democracy icon, Aung San Suu Kyi elected to Parliament, along with the suspension of Western sanctions and the release of political prisoners, the refugees “situation” remain. Many refugees who fled decades of ethnic conflict have lost their lands, families and livelihoods, and countless children born in refugee camps have never set foot in the country of their parents’ birth. How to reintegrate the refugees in Burma? Is the country ready? Are they ready? Should they stay longer in Thailand? Should they be resettle some place else? 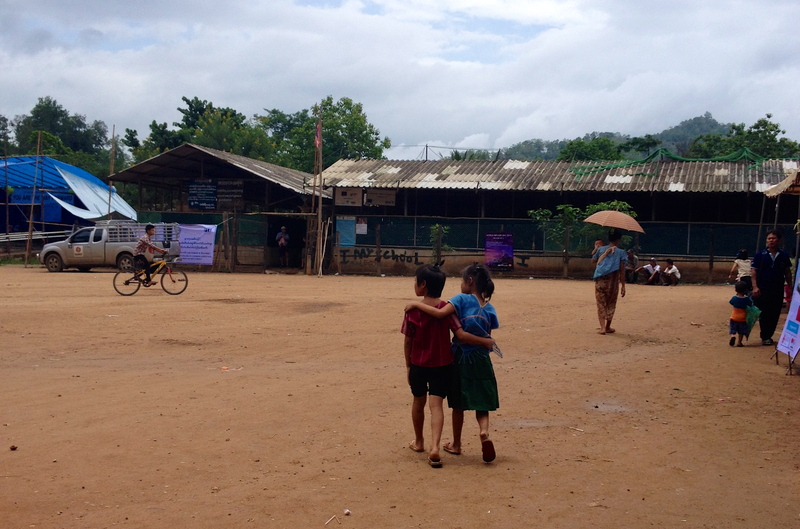 Mae La Camp is the largest refugee camp for Burmese in Thailand. As we entered the camp, last June 19, 2014, I was immediately stunned by the size of the camp and also surprised by its beauty. The scene is perfectly green and surrounded by beautiful mountains, the houses are made of bamboo and the ceiling of leaves. The perceived charm and the proximity of the huts are yet the source of constant threats for the inhabitants of the camp. Fires are a permanent and recurrent threat and even though the camps have been around for more than two decades, the Thai government forbids the use of materials that might suggest a more permanent stay. Permanence is not a possibility for the refugees. What are the possibilities for people living in the camps? Resettlement. When? As fast as possible for the Thai Government. 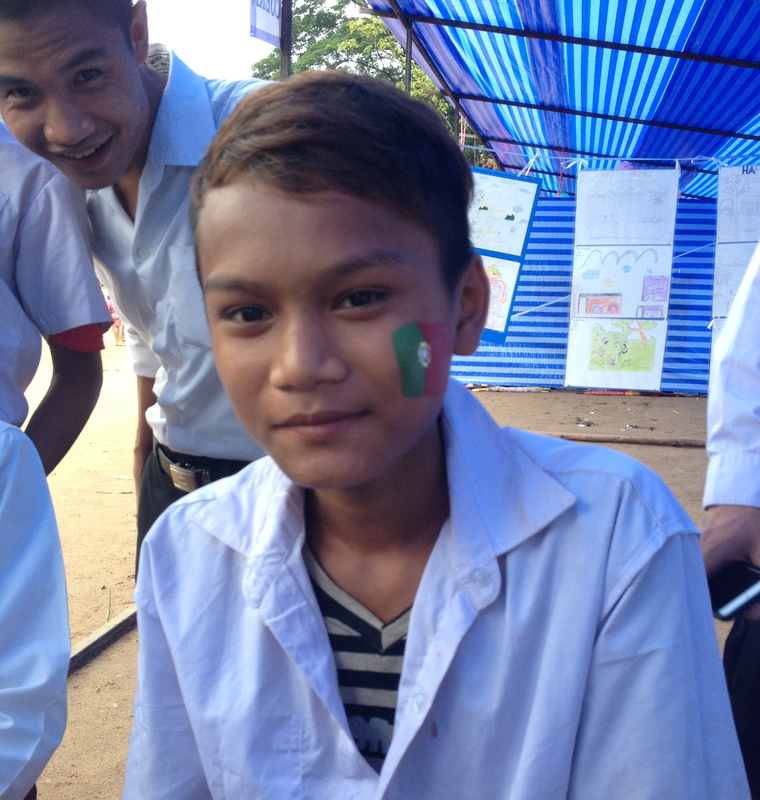 Several NGOs joined the commemoration last June at Mae La Refugee Camp. Facial painting, drawing, concerts and different activities were set up for the people living in the camp. As part of WEAVE, an NGO working with refugee women around the Thai-Burma border, I was “in charge” of the facial painting booth. Along with two artists from Bangkok, we would welcome the children of the camp and ask them what they wanted us to paint for them. The two artists were in charge of the very complicated demands such as: “Chinese flying dragons” and I would take the simple requests related to the World Cup: Flags. I have to say, my memory was tested. What exactly is in the middle of the Argentina Flag? How many stars are in the Australian one? After a couple of adventurous kids that asked me for the flag of … Seychelles (why not? )… the highest demand, to my big disappointment, was: America! I can now add to my résumé I have an expertise in painting the USA flag. Three paths can be pursued as a refugee: voluntary repatriation, local integration, or, resettlement to a third country in situations when it is impossible for a person to go back home or remain in the host country. Thai authorities have made very clear that local integration is absolutely unthinkable for refugees living in the camps in Thailand. So, that is where the United States become the world’s top resettlement country and the world’s largest third-country recipient of refugees from Burma. “America” is then an ideal of a possible future home. As a student of international development I hear every day the concept of long-term development. How to think in sustainable development in a refugee camp where permanence is not a possibility and where periods in the camp are supposed to be short-term? This visit, however, was not about development. It was not about impact evaluations, solutions, results or numbers… This day was about spending some time in a so-called City with people displaced from their own country, Burma, living and growing in Thailand without really living in this country. Camps are territories apart from geopolitically established boundaries where societies grow and coexist finding a way in or a way back. 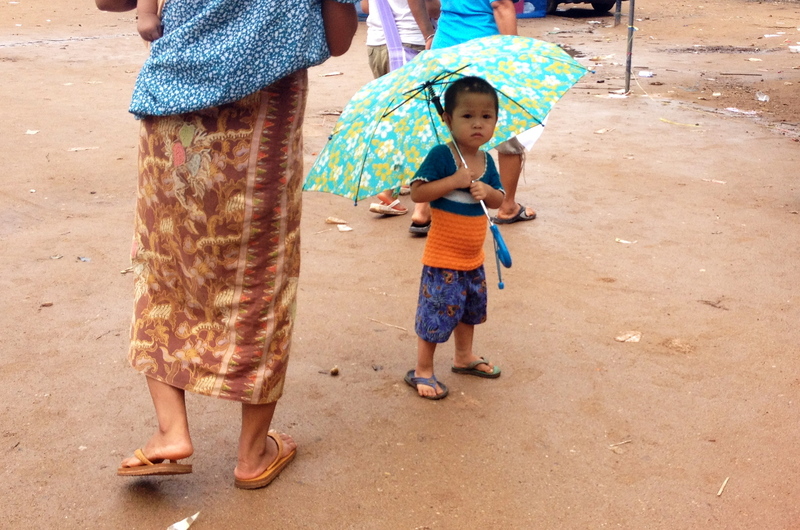 Despite a majority of Burmese, there are many different nationalities living in the camp. Many religions, many languages, many colors and many contrasts. I was surprised to see drastic differences in terms of perceived wealth. You would see barefoot kids in extremely poor attires but also, very well dressed people living in the same street.. The answer when I asked about it, is that, refugee camps are starting to be perceived as a space for opportunities where free education and medical attention are available. This way, in addition to the 50,000 registered refugees living in Mae Sot, you have thousands of people coming to live there to access the built-up infrastructure. As a response, more pressure is coming from the Thai authorities and international donors supporting the refugees as their investment is being profited by non refugees as well. I cannot end this post with a proper conclusion as I still don’t have one. I cannot pretend to have a conclusion after only one weekend spent at Mae La. I can only state that Mae La Refugee Camp is absolutely beautiful. People were welcoming, caring and patient with me and all the people coming to the camp without knowing the language. 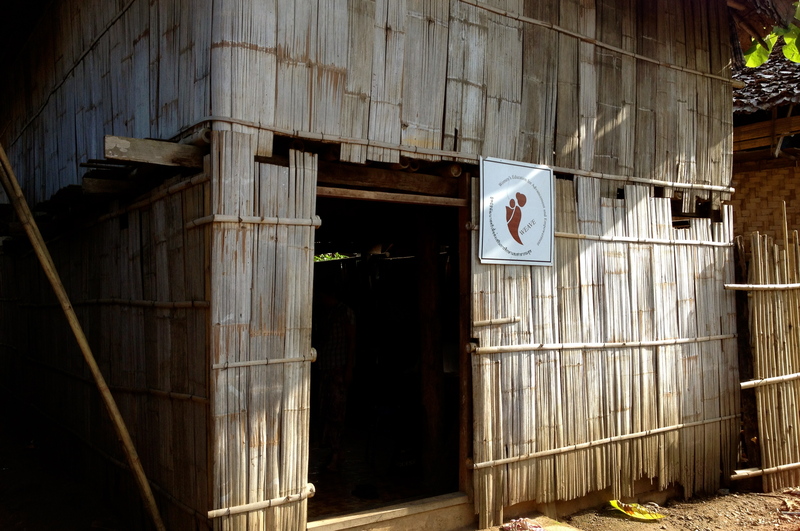 I hope my stay at WEAVE this summer will help in some way to support the people living at Mae La Camp. I know a few months are not enough but, I will try my best to bring the most I can to this project and ensure continuity after I leave Chiang Mai. The refugee situation is truly tragic, with no solution in sight.